This weekend at Southampton was one of the busiest of the season seeing five cruise ship visits on each of Saturday and Sunday, for a total of ten ships over the weekend, plus a passenger-carrying container ship on Sunday. Elswehere, we look at fleets that feature one smaller ship in addition to their main fleet of larger cruise ships. Finally, Crystal Cruises has returned to Dover after a two-year absence. 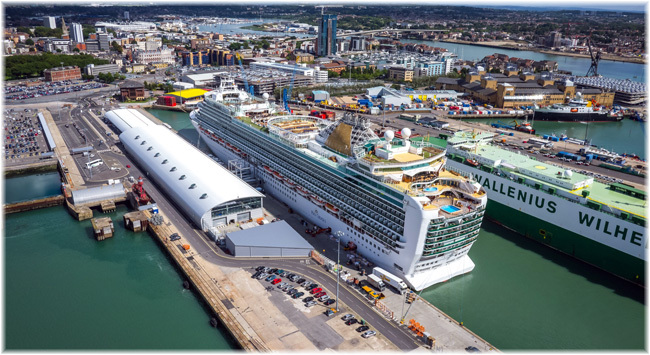 This weekend, an estimated 55,000 passengers travelled through the Port of Southampton. Saturday saw the arrival in the Hampshire port of the Queen Mary 2 from New York, Norwegian Jade from Oslo, Navigator of the Seas from Lisbon, Mein Shiff 1 from Hamburg and Azura from Bergen. These ships were followed on Sunday by the Queen Elizabeth from Bergen, Arcadia from Cadiz, Independence of the Seas from Le Havre, Braemar from Amsterdam and Aurora from Lisbon. P&O accounted for three ships, Azura on Saturday and Arcadia and Aurora on Sunday. Meanwhile, Cunard with the Queen Mary 2 and Queen Elizabeth, and Royal Caribbean International with the Navigator and Independence of the Seas, had one ship each in port on Saturday and Sunday. TUI Cruises’ Mein Schiff 1, a Saturday visitor from Germany, was the only ship not on a full turnaround. Mein Schiff 1 will soon move to Thomson Cruises as TUI Explorer 1. She will be based in Palma from May 2018 and will be the largest ship in the Thomson fleet. 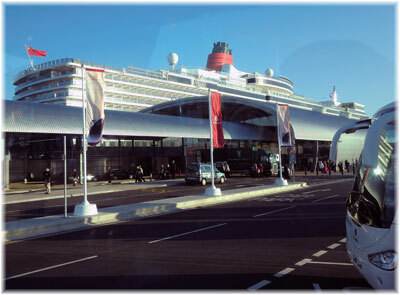 The Port of Southampton offers four cruise terminal facilities – the Queen Elizabeth II terminal, Ocean Terminal, Mayflower Terminal and City Terminal. Port operator Associated British Ports said that each ship arriving in the city was estimated to boost the local economy by up to £2.5m. Indeed, CMA CGM container ships carry up to 10 passengers each to and from the Far East or Transatlantic and weekly calls by Grimaldi Lines ro-ro’s accept up to 12 passengers each to and from the Mediterranean and Scandinavia. The 10-passenger, 13,800 TEU container ship CMA CGM Corte Real was in port on Sunday, inbound from China on the French Asia Line service. Corte Real’s gross tonnage of 150,269 actually exceeds Queen Mary 2’s 149,215, technically making this UK-flag ship the largest passenger-carrying vessel in Southampton this weekend. The Pacific Princess has taken on some special duties. 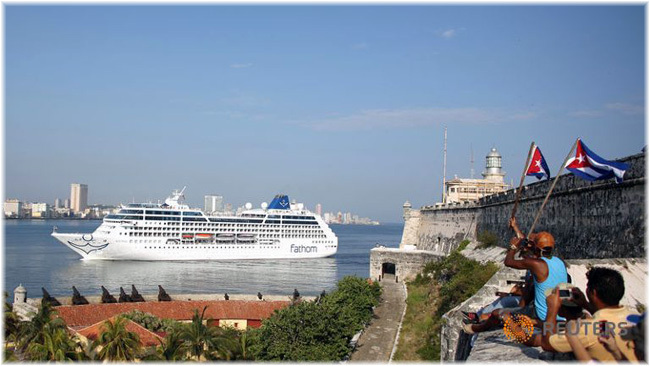 For example, she did a season of Alaska cruises in 2014 and then a 50th Anniversary cruise in December 2015 in commemoration of the first cruises to Mexico on the Princess Patricia, which Princess had chartered from Canadian Pacific as a start-up cruise line. 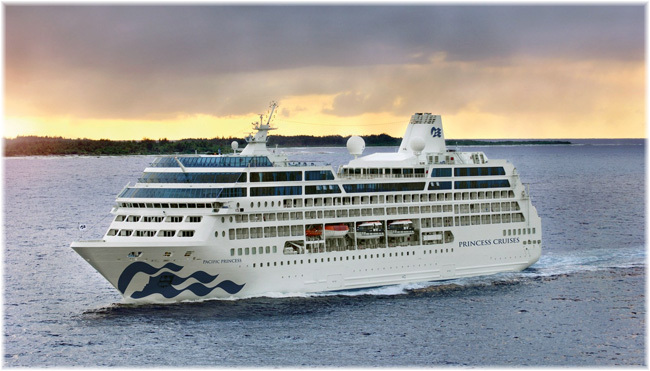 The Pacific Princess had briefly became the line’s flagship in 2007, when Commodore Michael Fatchen was in command, and before he moved to sister ship Royal Princess. This choice over one of the line’s larger ships was because the smaller vessels operated on much wider-ranging itineraries than did the line’s big ships. Likewise, at P&O Cruises, its “R” class “pathfinder” Adonia, now back from pioneering Carnival cruises to Cuba, is also markedly smaller than its flagship. Meanwhile, over at Princess Cruises’ sister brand Holland America Line, its “mascot” ship Prinsendam, which it uses on more exotic itineraries, is markedly smaller than the largest in its fleet too. 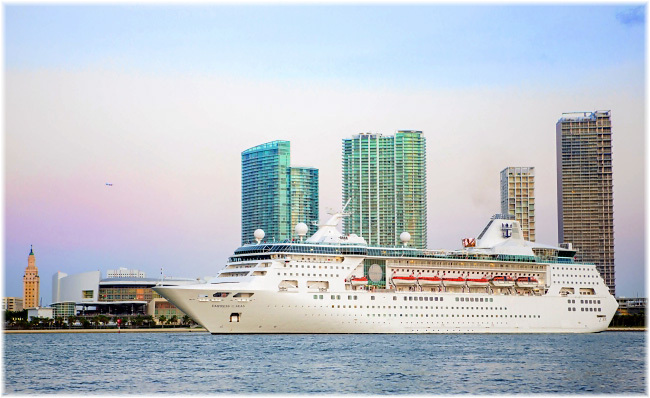 At Royal Caribbean International, the Empress of the Seas has been recalled to Florida to offer Cuba cruises from Tampa, the same US departure port that Winston Churchill departed from when he acquired his penchant for Cuban cigars in 1895. A visit to Dover by Crystal Cruises’ 960-berth Crystal Symphony on August 10 marked the first return of Crystal Cruises to that port since 2015. In 2016, meanwhile, Crystal had been experimenting with Tilbury and Portsmouth. A further overnight Dover call is planned for Symphony this Thursday and more Dover calls have been booked for 2018, 2019 and 2020. Upon completion of Crystal Symphony’s drydock this November, her capacity will be reduced by almost 12%, to 848 lower berths, and guests will receive unlimited complimentary WiFi. The Crystal Dining Room will become Waterside and more tables will be offered for two and four. At the same time, a new open sitting concept will allow guests to dine between 6 and 9:30 pm and eliminate the previous format of assigned seating.